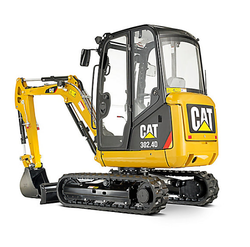 Pioneers in the industry, we offer cat mini hydraulic excavator, cat 349d-l large hydraulic excavators, cat 374d-l large hydraulic excavators, cat small hydraulic excavators, cat hydraulic excavator and cat construction excavator- 6050 fs from India. Being the most respected organization guided by experienced and knowledgeable professionals, we provideCAT Mini Hydraulic Excavator. This hydraulic excavator is developed by finest material & contemporary techniques keeping in mind the set guidelines. Our hydraulic excavator is broadly used in various heavy earth moving equipments, construction equipments. 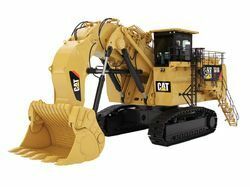 As a trustworthy organization of this domain, we are committed to offering our clients a superior quality assortment of CAT349D-L Large Hydraulic Excavators. The excavators are perfectly designed considering the length, height and total dimension at our vendor/manufacturer's end. 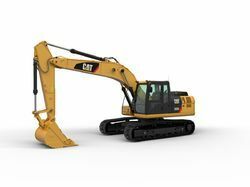 The large excavators come with a digger, large bucket and advanced engine and hydraulic configurations. These excavators are made available in various specifications meeting different needs of the business/projects. In addition, Most of the excavators have hydraulic variable pump x 2 type. Owing to the expertise of our team of experienced professionals, we are able to introduce an exclusive range of CAT374D-L Large Hydraulic Excavators. These excavators have 151.0 gal maximum flows developing the 536.0psi maximum pressure for lifting heavy materials. The offered excavators have DB bucket cylinder bore of 5.9 and DB bucket cylinder stroke 45.3. Such smart technology machines make a perfect choice for clients to use it in tedious, large and heavy projects. 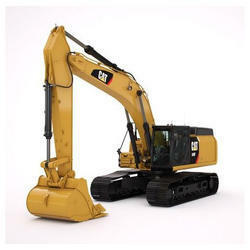 We are the prominent organization of this domain engaged in offering a wide spectrum ofCAT Small Hydraulic Excavators. 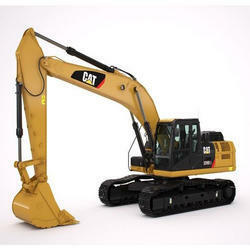 The engine configuration and performance of the excavator's changes as per the model number. At our unit, we have specialized engineers who assist clients in buying the right kind of excavators for business and also provide after sale services. The offered excavators are equipped with a bucket, and hydraulic power operation and a heavy engine. Mostly, small excavators are used for cleaning ice on the road, loading sand or similar type of materials on the tricks in a construction project, or digging soil for construction. Our organization has gained recognition in offering a wide assortment of Hydraulic Excavator. Our offered excavator is developed for various mining organizations in India and treated as one of the most reliable mining shovels operating in Indian mining condition. Installation Retractable service station installed underneath the engine module and easily accessible from the ground. We feel proud to introduce ourselves as the leading organization in this domain, engaged in presenting an excellent grade ofCAT Construction Excavator- 6050 FS. The offered shovel excavator is loaded with an advanced engine, cooling technology, and high loaded bearing capacity. At any height or project, the offered shovel excavator can reach, clean, construct or support the ongoing task efficiently. 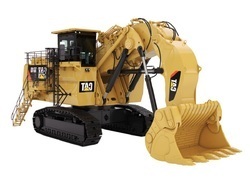 This shovel excavator comes in various models having different engine configurations. With the comprehensive industry knowledge of the allied domain, we are engaged in presenting a superior quality range of CAT Hydraulic Mining Excavator-6060 AC FS. The hydraulic excavator offers an operating weight of 12T. On mountain terrain or any construction site, this excavator delivers exclusive and impressive services to the clients. Such incredible service is provided by the excavator due to the large bucket size and sharp digger. In addition, the hydraulic excavator produces 100.5 horse-powers in an operation. 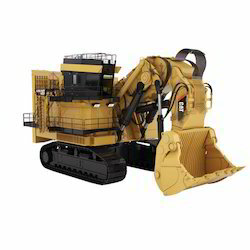 We are the highly acknowledged organization in the domain engaged in offering the high-quality range of CAT 6040 FS Hydraulic Shovel Mining Excavator. 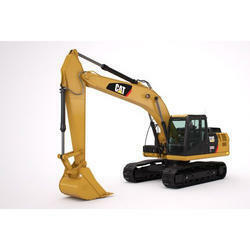 This excavator is developed by using finest material and leading technology by our accomplished professionals. The offered excavator is acclaimed in the market for its least maintenance & superior performance. Being the most respected organization guided by experienced and knowledgeable professionals, we provideCAT Mini Hydraulic Excavator. This hydraulic excavator is developed by finest material contemporary techniques keeping in mind the set guidelines. Our hydraulic excavator is broadly used in various heavy earth moving equipments, construction equipments. The offered hydraulic excavator is widely appreciated by our clients who are situated all round the nation. Get more done. Lower your cost per ton. The Cat® 323D3 Excavator brings increasedspeed, efficiency, and high productivity to your heavy-duty, high-production applications. m3 (1.57 yd3) SD bucket, 600 mm (24″) shoes.